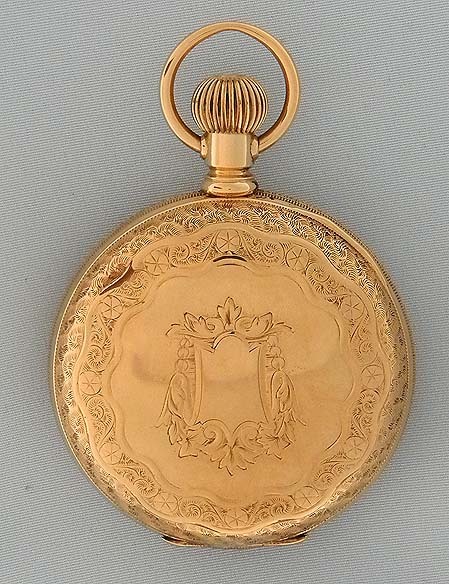 Fine and scarce 18/S Waltham Vanguard 14K gold 23 jewel antique railroad pocket watch with winding indicator circa 1907. 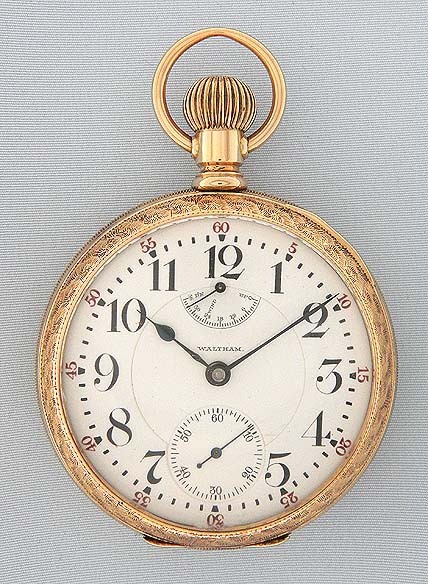 Fine white enamel dial (small cracks and hairline) with bold red and black markings, blued steel hands, and up/down indicator. 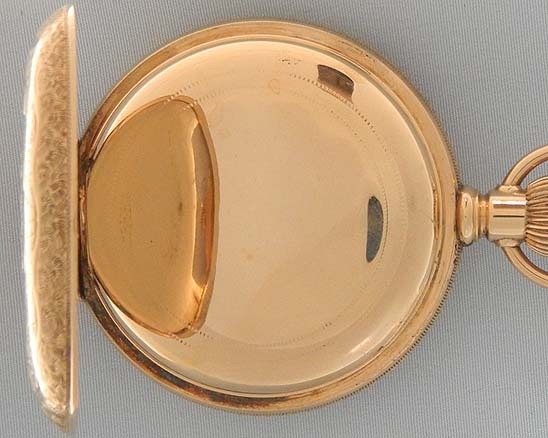 Heavy fancy 14K gold case. 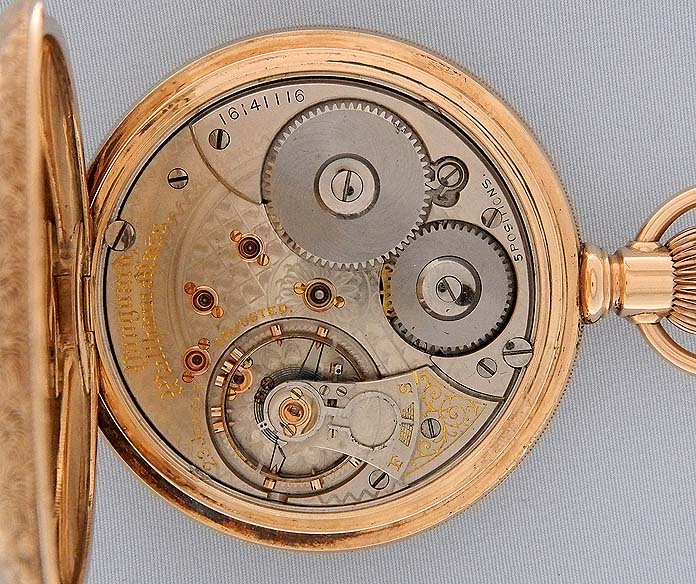 Beautiful 23 jewel adjusted movement with precision regulator and screwed gold jewel settings.